But what in the world does that even mean, and why is it associated with a series of unfortunate events in your life? First, let’s take a look what Mercury retrograde really means. From an astronomical perspective–in other words, a scientific one–here’s what happens. Sometimes, when the Earth moves past other planets, those planets appear to be moving backwards in space, from certain vantage points. 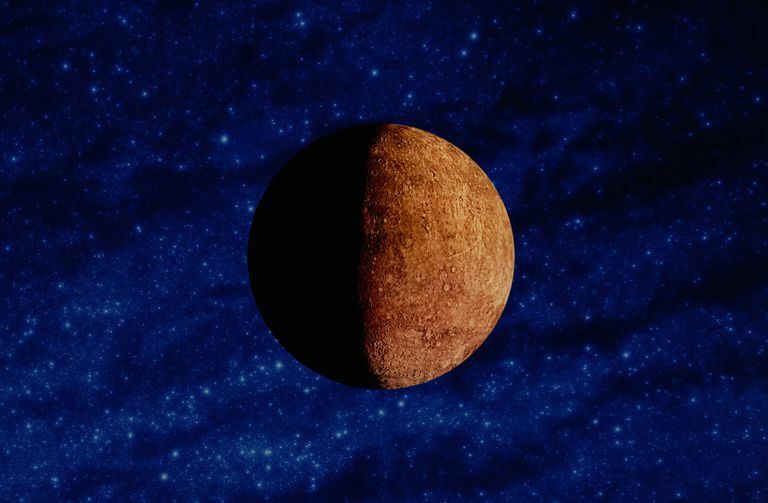 Both Mercury and Venus sometimes appear to have a retrograde motion, but keep in mind that they don’t actually change the direction of their movement; it’s just an optical illusion. So why do we to we make a big deal about Mercury retrograde, which happens around three or four times a year, from an astrological viewpoint? After all, ask anyone about his or her horoscope during Mercury retrograde, and it’s practically a Murphy’s Law of planetary proportions. In astrology, Mercury is the ruler of a number of different aspects of our lives, including communication and travel. For many astrologers, there’s a direct correlation between a retrograde period and sheer bad luck–in other words, when Mercury goes into retrograde, if things were going to go badly in your life, chances are good that this is when it will happen. Remember, though–and this is important–that Mercury is not actually changing direction in the skies. What is changing is our perception of what it is doing, which means sometimes we can engage in self-sabotaging behavior, even if we don’t intend to. If you truly believe you’re about to have a run of serious bad luck, you may well be correct. A lot of people that believe that it’s a good idea to avoid making set plans during a retrograde period–don’t sign any contracts, don’t set a deadline for big computer projects in case the electronics all go on the fritz, don’t travel, and definitely don’t get married, according to all of the warnings. However, the reality of it is that we all have lives to lead and things to do, and if you’ve got something you need to get done, then do it. If you’re that concerned about planetary influences, use a little bit of judgment and pre-planning to get through it. Are you worried that your computer will crash, and your cloud storage will vanish into the aether? Back up your data thoroughly just in case–and really, you should be doing this anyway. Are you traveling during Mercury retrograde and worried about canceled flights or reservations? Call ahead, use online check-ins, and double or triple check the details before you get underway. Some people recommend that you don’t buy anything large–homes, cars, or electronics–during a Mercury retrograde period. If you do, make sure you read the fine print on warranties or contracts, which you should be doing anyway before you sign anything. Some people see Mercury retrograde as a period of reflection and cooling off. This means it’s a good time to re-evaluate things in your life, and do a bit of mental and spiritual decluttering. Use this period to get rid of things that have no value, use or meaning to you anymore. Instead of letting the idea of Mercury retrograde freak you out and cause panic – which, as we all know, can breed its own disaster – use it as a time of rejuvenation and self-assessment. Keep in mind that Mercury retrograde doesn’t have to be a surprise–plan ahead for it by knowing when it’s coming. The Farmer’s Almanac and a number of other sources always post the dates well in advance, because astronomers know when that weird orbital appearance is going to take place, so mark it on your calendar if you're worried about it. The lists below show when Mercury will appear to be in retrograde for the next few years. Keep in mind that these dates are based on Eastern Standard Time, so if you live in a different part of the world, there may be some variation.